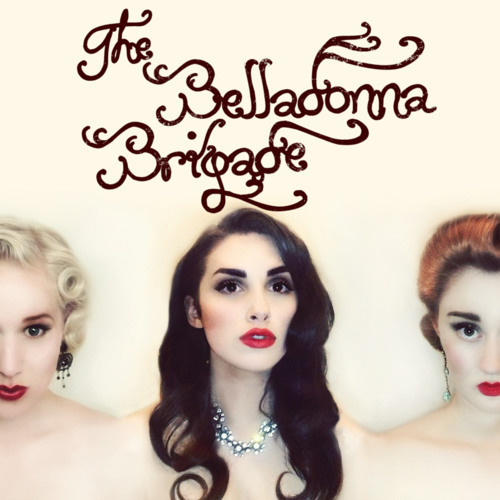 At the heart of the Belladonna Brigade are The Belladonnas- Bridgette, Billie and Babette. Dedicated to re-creating a true 1940's feel, we are a nostalgic, classic and high quality act, with tight harmonies and authentic dance moves. Perfect for Weddings, Military and Corporate Events, Private Parties, Classic Car Shows or any 1940's themed shindig. We take the most popular and majestic hits of the Swing and Boogie Woogie era, including songs from Glenn Miller, The Andrews Sisters, Vera Lynn, Peggy Lee, Billie Holiday and perform them in a close three part harmony for that vintage 1940's effect. All Drama School/ Musical Theatre trained, The Belladonna Brigade brings a West-End quality performance to your special occasion.